Tue dir Gutes! Love yourself! View all English-language meditations here! Hier alle deutschsprachigen Meditationen ansehen! 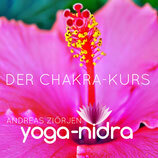 Haben dir die Yoga-Nidras auf der CD zum Buch "Loslassen mit Yoga-Nidra" gefallen? Hier erhältst du weitere, von mir persönlich geführte Meditationen und Audio-Kurse zum Download, die dir beim weiteren Vertiefen deines Yoga- oder Meditationswegs helfen. Viel Vergnügen. Ich wünsche dir ganz viel spirituelle und materielle Fülle. Und danke von Herzen für deine Unterstützung. In this webshop you can purchase all of my meditations and courses for offline use at home or on the road. To see all available meditations in English please click here or use the link above. Thank you for appreciating and supporting me and my work, without you all of this would not be possible. And remember to love yourself and stay in the fullness of live, for the benefit of all beings. JETZT ERHÄLTLICH: DER YOGA-NIDRA CHAKRA-KURS ALS EINFÜHRUNGSANGEBOT! Der 9-Wochen Chakra-Kurs - Tauche tiefer ein in die Welt der tantrischen Energiezentren! - EINFÜHRUNGSANGEBOT: JETZT FÜR NUR CHF 36.- statt 90.-! oder CHF 9.10.- / ca. EUR 8.50 pro Einzelübung. Coming very soon: The Chakra Course - Explore and Harmonize your Chakra-System in 9 Weeks. Andreas' new books "ON HOW TO BECOME YOUR OWN GURU" and "THE INNER GURU'S PRACTICE BOOK" ! Check it out now, if you want to see your meditation, yoga or qigong practice with new eyes. 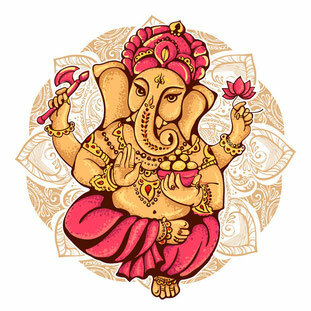 MAY ALL BEINGS BE CONNECTED, LIVE IN HARMONY AND EXPERIENCE HAPPINESS. MÖGEN ALLE WESEN VERBUNDEN SEIN, IN HARMONIE LEBEN UND WOHLGEFÜHL ERFAHREN. Open your heart to joy. experience the beauty of being.